What’s a Southern mama know about good pizza crust? Not much until I married a Jersey boy who dearly misses “real” pizza. The chains and local places around here just don’t cut it for him. It’s the equivalent of trying to find good BBQ or a homemade buttermilk biscuit in New England. 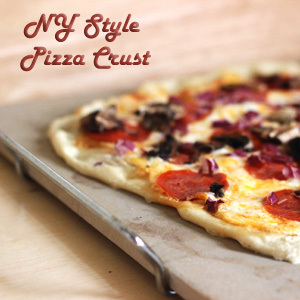 Being the awesome wife that I am, I’ve tried to duplicate the crust he so dearly misses, and considering I won’t be installing a brick oven anytime soon, this recipe comes pretty close. 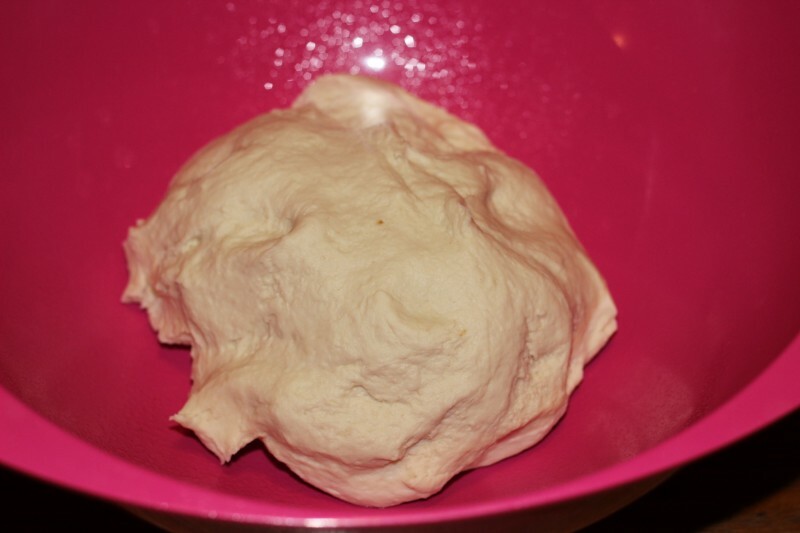 The key is refrigerating the dough overnight then bringing it up to room temperature over the course of the next day. I’ve been making this crust for so long I don’t remember where I got the recipe. It’s one of Hub’s favorites. 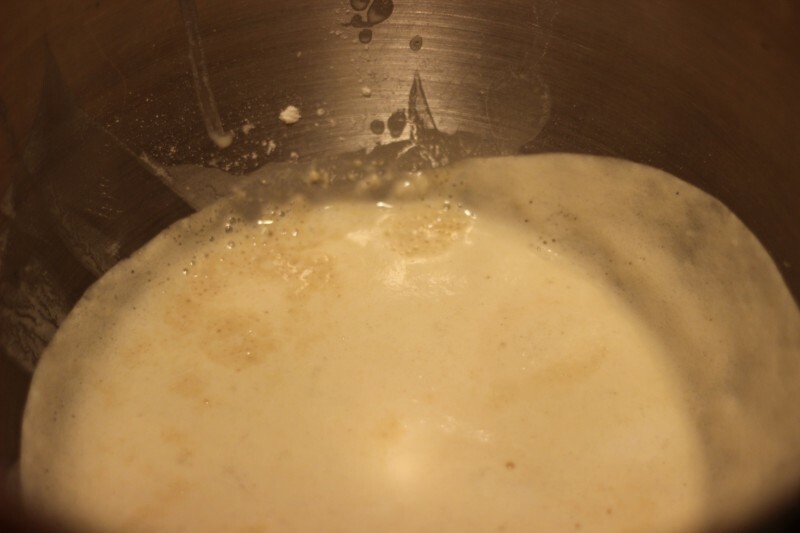 Combine the water, yeast, sugar, and 1/2 of the flour. Stir well and allow to sit for 20 minutes until bubbly. It should look something like this:. Next add olive oil, salt and 2 cups of the flour and stir together until a slightly wet dough forms. 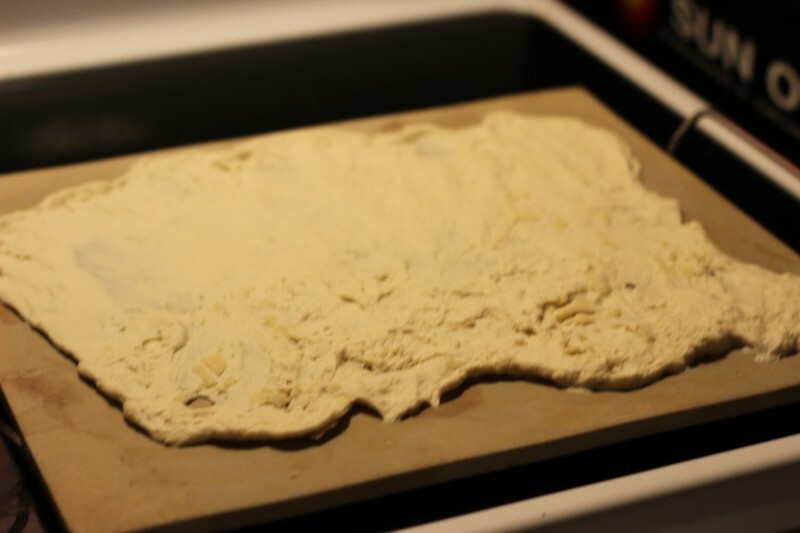 Turn onto floured surface and knead at least 10 minutes adding the remaining 1/2 cup of flour as you go. 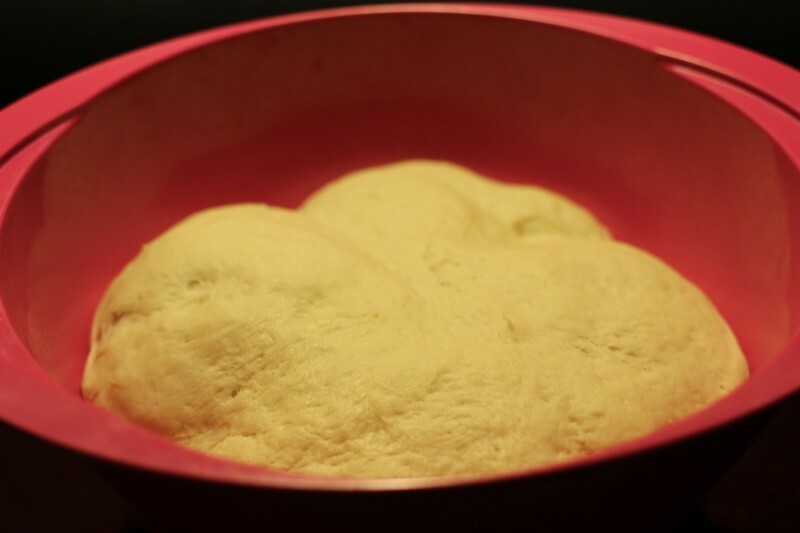 Form the dough into a ball and place in a large bowl sprayed with cooking spray. Spray the top of the dough as well. Cover bowl with a kitchen towel and place in a warm place until dough doubles in size (about two hours). Give the dough a punch (so fun! 🙂 ), divide into two balls (for thin crust) and refrigerate overnight. The following day remove dough from refrigerator and allow it several hours to warm to room temperature before handling. 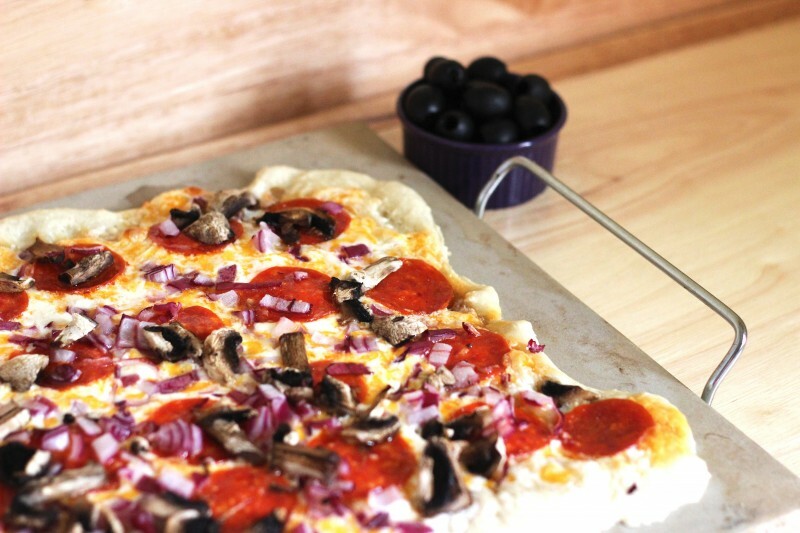 Spread the sticky dough onto an ungreased pizza stone or cookie sheet. It’s very stretchy and to get it as thin as Hubs likes it, it never turns out “pretty.” Thankfully it tastes great. Top as desired then bake at 400 degrees for 10-15 minutes. One of my favorite ways to top this pizza is to beat together 8oz fresh mozzarella, 8 oz shredded cheddar, 1/2 cup ricotta cheese, and 1/4 Parmesan cheese. Spread the mixture over the pizza sauce and top with toppings. It’s the perfect meal for those lazy nights when you just want to eat in front of the TV (http://www.cabletvadvisor.com/cable-tv-companies/directv/) and forget it!